Home > Beer Essentials 101 > Hydro Flask Review: Is This Stainless Steel Insulated Growler Worth Buying? 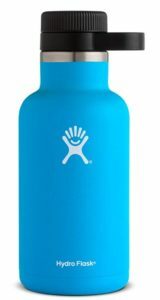 Hydro Flask Review: Is This Stainless Steel Insulated Growler Worth Buying? When going on a camping trip or any other type of outdoor activity, one of the most common challenges is how to keep beer cold. We’ve all been there before: head out to the Great Wide Open, hit the trail for several hours, and look forward to a nice, cold beer when we get to camp. Unfortunately, what often greets us is flat, lukewarm, and generally unappetizing beer. Faced with this dilemma, you may wonder why you even bother bringing beer at all. Enter the Hydro Flask Growler. 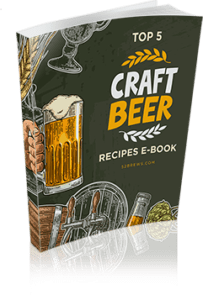 An innovative solution to keeping beer fresh, cold, and palatable even on the hardiest adventures, this is an essential piece of equipment for all outdoorsy types. 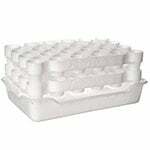 It is capable of keeping liquids cold for up to 24 hours, and even keeps them hot for up to 12 hours. Read on to find out why you need to be packing this product on your next trip. 3 How Does the Hydro Flask Growler Work? Upon first inspection, the 64 oz Hydro Flask immediately inspires confidence with its rugged 18/8- grade stainless steel construction. 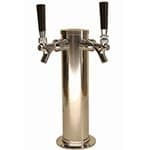 Able to withstand all the bumps and jostles of your typical camping trip or hike, it is about as secure a vessel for your beer as anything on the market today. Handling the growler gives you even more reason to feel secure. The exterior is finished in a powder coating that ensures a slip-free grip. Even some of the costliest growlers are prone to slipping, which you definitely don’t need when you’re roughing it up outdoors. 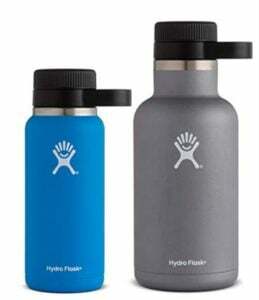 This powder coat has an added advantage as well, which we will get into later on in this Hydro Flask Review. The growler has a nice, wide mouth that makes it easy to refill, and even easier to chug beer out of. 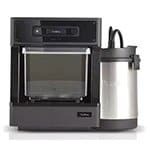 You won’t need to worry about ingesting anything other than your brew either as the interior of the vessel is made from BPA- and Phthalate-free material. The leak-proof cap is another great feature. 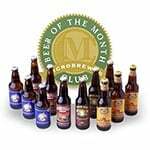 More than just keeping you secure from spills and drips, this also ensures that none of the carbonation escapes. If the thought of flat beer turns you off–as it well should–you will appreciate how effectively the Hydro Flask 64 oz growler maintains the carbonation in your beer. The aforementioned powder coat that ensures a nice firm grip actually works in conjunction with the growler’s vacuum-insulated technology. The double-walled insulation keeps drinks cold–or warm–as needed, while the powder coating prevents condensation on the outside of the flask. You therefore won’t have to deal with a sweaty, leaky bottle that gets moisture all over your dry clothes. 64-ounce capacity for more beer to store! 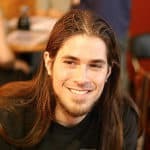 There are some caveats. But none of them are really major considering the price, which is very affordable for the benefits you get. The Hydro Flask 64 oz growler must be washed by hand only, which isn’t really a big deal. You also have to make sure to twist the cap on tightly in order to prevent spills or leakage. But then again, that’s pretty much the case with any other growler you can buy. You can read about all about it here. How Does the Hydro Flask Growler Work? The secret to the effectiveness of the Hydro Flask 64 oz lies in two things: the leak-proof cap and the vacuum insulation. The leak-proof cap seals the contents of the growler tightly, ensuring that no gas escapes. Even during the most rugged hikes, the snugness of the seal ensures that the carbonation stays right where it should–in your beer. Even after hours of braving the trails, you can be sure that your beer is as fresh and flavorful as if you just popped open the bottle. 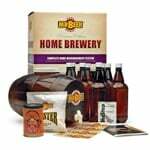 The other part of the design is equally important in ensuring the quality of your beer. The double-walled vacuum insulation is actually a common feature among all Hydro Flask products, and it is extremely effective at maintaining the temperature of the contents. How effective is the double-walled insulation of the growler? Real-world tests have shown that it can keep water icy from morning until late in the afternoon. And if coffee is what you decide to pack, you can be sure that it will be nice and scalding hot well into the afternoon as well. If you haven’t guessed from the favorable tone of this Hydro Flask review thus far, this product is a great buy and is highly recommended. The 64-oz. model is big enough to accommodate even the thirstiest trekker on the hottest of days, and it might even carry enough beer to hold you over until sunset. This particular growler is also remarkably light, which is always a plus when hitting the road. At just over a pound in weight, it is lighter than many other models in its price range. 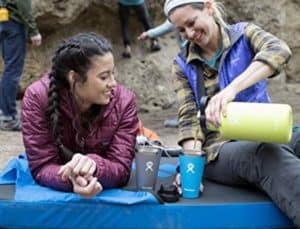 But more than design and construction, what really sets the Hydro Flask reviews apart is its ability to maintain the taste and temperature of beer. 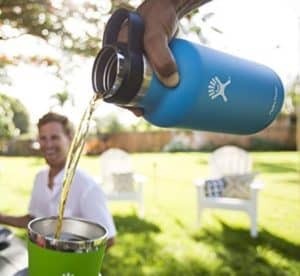 A convenient and handy solution to the age-old challenge of bringing along cold beer on camping and hiking trips, the 64 oz Hydro Flask is really the next best thing to packing a cooler.